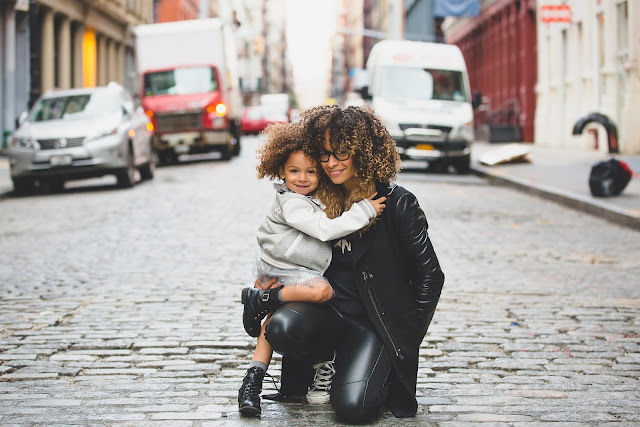 There are lots of areas in which you will need a lot of money for raising your child especially if you are a single parent. If you find difficulty in managing your finance as a single parent and slowly fall into the debt trap you will naturally look for financial assistance. It is not always that you will need to visit a bank or any line of credit to get financial help in the form of debt only. There are several other forms of financial assistance such as discounts, grants, free money benefits and much more. There are millions of single-parent families all over the world looking for desperate measures to deal with their daily monetary needs. Being unable to meet with their expenses from their single income, thousands of them are found struggling. However, not all of them suffer because there are a few prudent single parents that make the best of the different grants and benefits that are offered by the government and other sources. There are lots of help available and these are very popular and useful as well. If you have not heard about these programs and benefits yet, it is highly surprising. There is about one in every five single parents having a single and volatile income that goes to bed without food or do not have any access to other essentials of life. They cannot even pay their monthly bills on time as well. Research and studies show an alarming result. It says that by the year 2021 two thirds of children in the single-parent families will live and be in poverty. This is the most significant result of the low wages and zero hour contracts that have been imposed on households in several countries. This has made the life of these already struggling households all the more difficult. For these households and others, these benefits and grants and different other support schemes are very useful. You will find a lot of help through different schemes that will help you to boost your income and provide the desired financial support to deal with your debt, child care, household expenses and retirement plans without even having to take help at a premium for other sources and private money lenders like http://libertylending.com or others. Money off your council tax bill: Though at times you may be able to escape it entirely, there are other ways to make the most out of it. If you have children who are under the age of 18 and you are a single parent and do not live with another adult, you can apply for 25% off your council tax, but make sure that you apply for such rebate through your local council only. In addition to that, you may also get a council tax reduction which is also called council tax support. It will depend largely on where you live, the number of dependents that you have, your income, amount of savings or any benefits that you may have claimed already. If you have a very low income and a couple of dependents then you may even get a 100% discount but make sure that in this case, you apply for a Council Tax Reduction. You can claim for Child Benefit just like all parents which are the state subsidy that is paid out to parents if you have a child to look after. These child benefits may vary according to the number of children you have but it is paid irrespective of the amount of savings you have or the money you earn. Healthy Start scheme is another you can apply for which is an actually voucher given out to help you pay for your food expense, milk, nappies, and other basic necessities. The Healthy Start scheme is very useful for pregnant mums who will get a lot of support with the food vouchers to cover their entire family. You can spend these vouchers at different supermarkets and local retailers. You will qualify for a Healthy Start program if you are ten month’s pregnant or even have a child who is under four and get several other benefits and income support. Moreover, if you are under 18 and get pregnant, you will automatically become eligible for the Healthy Start program. Child maintenance is another type of support that you will get provided that you and your partner do not live together any longer. All your expenses for child maintenance will be met by the other parent if you make the claim. The types of maintenance include food, shelter and clothing. This child maintenance is actually a legal responsibility of one parent to the other. As per the law, you will have a family-based arrangement between you two to determine how much one parent will fund for the child to the other. However, if you cannot come to any agreement you can contact the Statutory Child Maintenance Service that will set up an arrangement for both of you. You can also apply for several other benefits such as Universal Credit. This help is given to single parents and includes bills, food, rent, and other daily living costs. If you are on a low income you will be able to claim for other benefits such as income support, housing benefit, jobseeker's allowance (JSA) and others. However, if you want to take this benefit you must know that these are all means tested and your eligibility will largely depend on your dependents, on your employment status, health concerns, and other factors. You will also get a lot of help with childcare if you have children of three or four years old. You will be entitled to 30 hours of free childcare scheme from the government. This will help you to get back into employment that you could not afford simply due to childcare. However, to qualify for such benefit you must earn as per the required limit as set by the government. All you now have to do is choose the one or ones you will want to ease up your finances a bit.